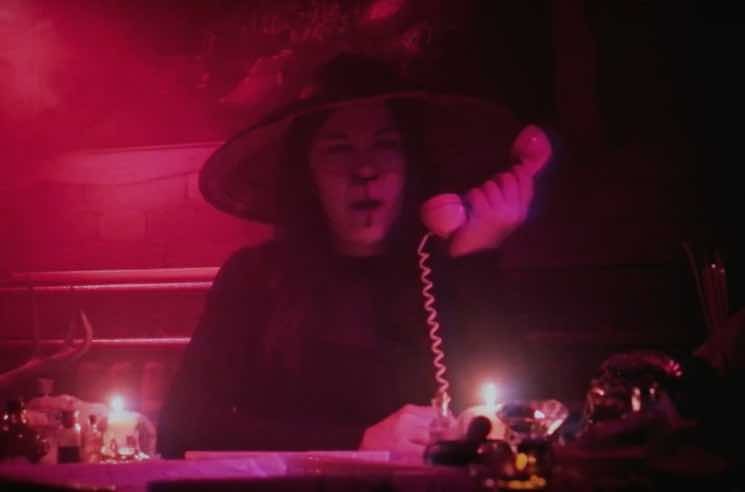 Yamantaka // Sonic Titan have been teasing their upcoming LP Dirt with tracks like "Someplace" and "Hungry Ghost," and now the experimental Toronto-based "Noh wave" band have unveiled visuals for another album cut called "Yandere." The video was directed by Joyce Wong, and it's pretty well suited to a song whose title roughly translates to "a person with an unhealthy romantic obsession" in Japanese — like, a violently, psychotic, stalker-level obsession. Watch the eerie, unsettling clip for "Yandere" below. Dirt is due out March 23 via Paper Bag Records, and you can see the band's upcoming tour dates here.